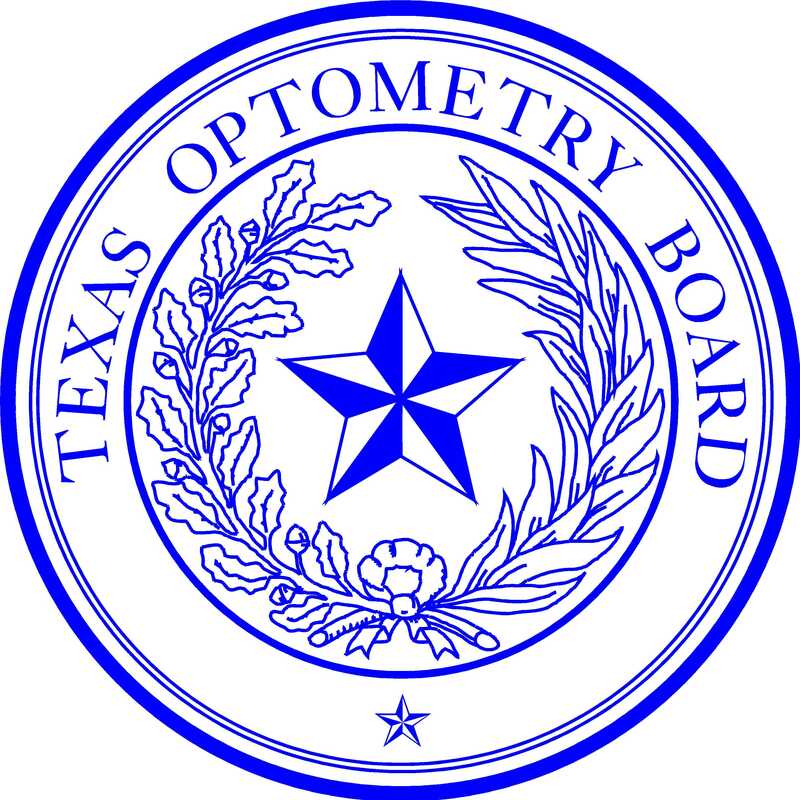 The mission of the Texas Optometry Board is to promote, preserve, and protect the health, safety and welfare needs of the people of Texas by fostering the providing of optometric care to the citizens of Texas through the regulation of the practice of optometry. Board members are appointed by the Governor and confirmed by the Senate to serve for a six-year term. The full Board consists of nine members: six members are practicing optometrists and three are public members. The Board is required to meet at last two times a year, but customarily convenes on a quarterly basis. Board members actively serve on board committees, establish policy, adopt substantive and procedural rules, and assist with the examination of licensure and enforcement activities for the protection of the public. Board members are appointed by the Chair to serve on working committees. Administrative Licensing Committee: Assists the office staff in regard to administrative issues and matters involving the Board examination, accreditation of colleges, applications for licensure and licensing requirements. Reviews applications for License Without Exam. Continuing Education Committee: Reviews and approves all continuing education submitted for consideration of approval, including the comprehensive concentrated ocular therapeutic courses required for therapeutic optometry certification. Investigation & Enforcement Committee: All optometric members participate in the enforcement process, including handling of complaints, review of investigations, informal conferences, and general matters involving enforcement of the Texas Optometry Act. Various areas of the state are assigned to the optometrist members, assuring that a Board member will not be responsible for the area in which the member lives and practices. Public members also participate in the complaint and enforcement process and assist with informal conferences. Peer Assistance Committee: Oversees the Board’s Peer Assistance Program. Rules Committee: Assists with the drafting of procedural and substantive rules for submission to the full Board for adoption. The executive director of the Optometry Board is Mr. Chris Kloeris. If you telephone the Board, the telephone system will direct you to the appropriate department: licensing, continuing education, complaints, or accounting.